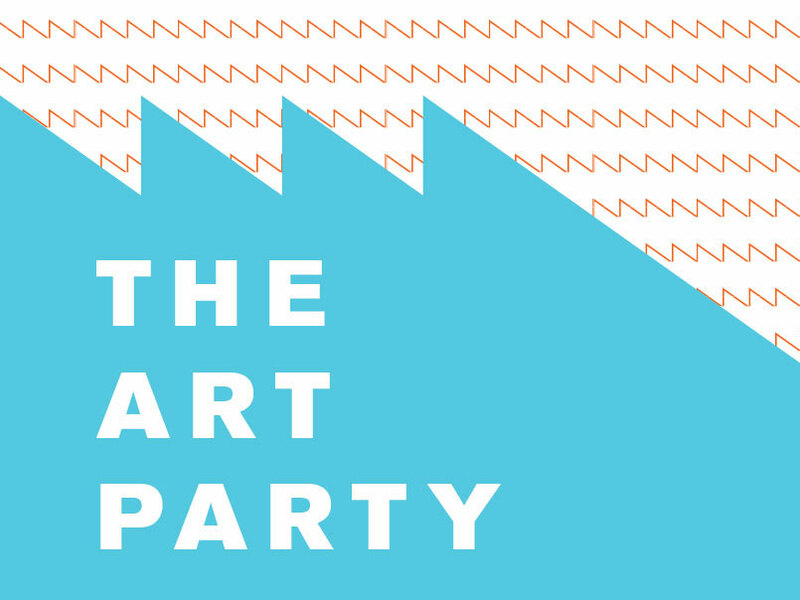 Rockland, ME, June 7, 2018 — The Center for Maine Contemporary Art (CMCA) is hosting its annual fundraiser, The Art Party: A Gala Celebration of New Art in Maine, on Friday evening, June 29, from 6 to 9pm at its campus on Winter Street in Rockland. Tickets to the event are open to the public and include the After Party with dancing to DJ Pretty Buoy, from 9pm to midnight at the Yellow Barn, located across from CMCA at 20 Winter Street. Tickets to the After Party may also be purchased separately. The Art Party is CMCA’s largest fundraiser of the year, supporting its exhibition fund and free educational programming for the community. Tickets to The Art Party and the After Party may be purchased online at cmcanow.org or by calling 207-701-5005. The event is supported in part by Cold Mountain Builders, the Roxanne Quimby Foundation, and individual sponsors. A recent recipient of the Governor’s Award for Tourism Excellence, the Center for Maine Contemporary Art (CMCA) advances contemporary art in Maine through direct engagement with artists and the public, hosting a year-round schedule of changing exhibitions and programs that celebrate the art of our time. Tom Burckhardt | Studio Flood is a full-scale, walk-in artist studio created entirely of corrugated cardboard and black paint and turned upside down as if hit by a tsunami. Burckhardt, the son of artists Rudy Burckhardt and Yvonne Jacquette, has been called “one of the most interesting artists of his generation,” by art critic John Yau. Jocelyn Lee | The Appearance of Things is an immersive exhibition celebrating the arc of life from birth through blossoming, decay, and death. The New Yorker has called Lee’s work, “the very essence of transient beauty,” and Artsy selected her as one of ten “must-see” photographers at this year’s AIPAD art fair. B.R.A.C.E. or Bifurcated Radical Anarchist Cultural Enterprise is an avant-garde performance group led by artist Patricia Brace. Featured in CMCA’s Screen video series and fresh from a residency at Mass MoCA, B.R.A.C.E. will perform one of their newest works specially for The Art Party. CMCA is a contemporary arts institution presenting year-round exhibitions, engaging events, and educational programs for all ages. Location: 21 Winter Street, Rockland, Maine. Hours: November through May, Wednesday – Saturday, 10am to 5pm; Sunday, 12 to 5pm; June through October, Monday – Saturday, 10am to 5pm, Sunday, 12 to 5pm. Closed Federal holidays. Admission $8; Seniors (65+) and students with ID $6; children under 18 free; CMCA members free.